The Euro Series coiled 16amp 3.6kW Green 5m Type 2 to Type 2 cable has great design and robust build quality for long working life and ease of connection. The high-performance Euro Series Generation 2 premium cables with BLACK connectors feature excellent design and ergonomics. 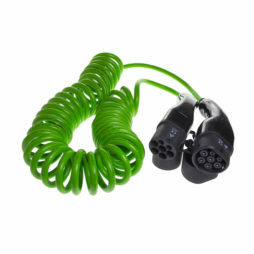 Coiled cables are ideal for keeping the cable off the ground during charging. 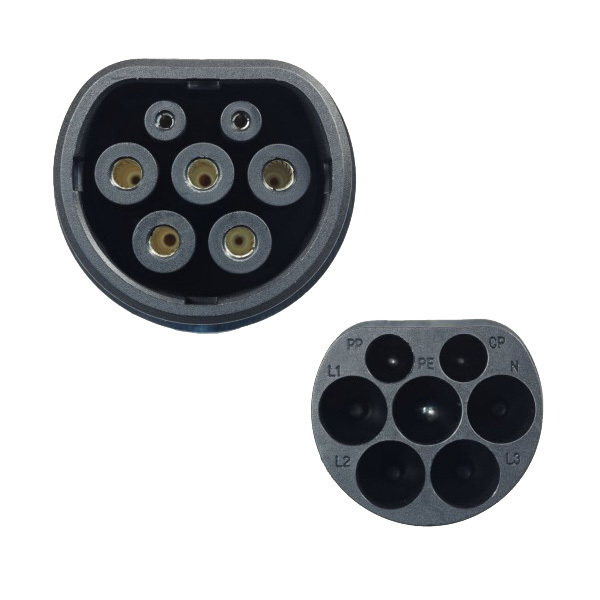 The thin and lightweight cables, supported by a 5-year warranty, are dust proof and waterproof to IP54 rating (when mated) with impact resistance to 1m drop onto concrete, and compatible with all 16A and 32A public and home charge points. Please note coiled cables are thicker and heavier than standard cables, because of this coiled cables have a shorter usable length than quoted length. A 5 metres coiled cable will have a usable length of 3 metres.